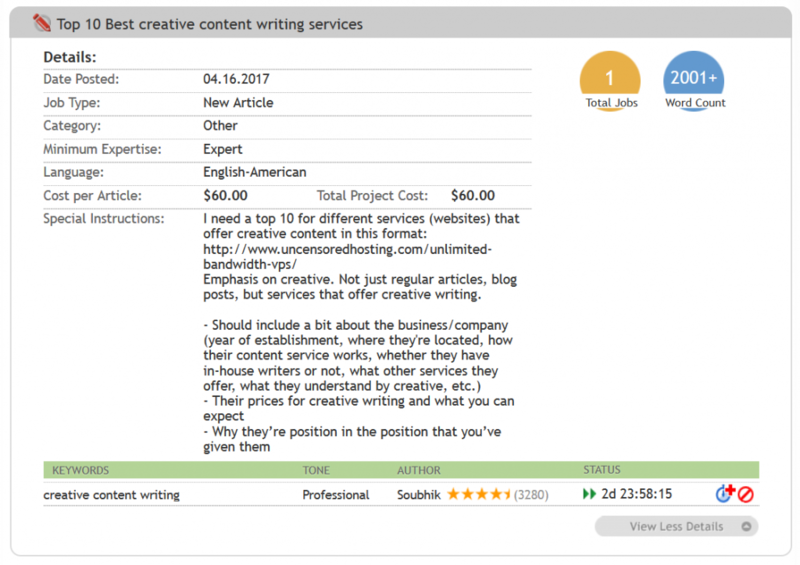 This page includes HireWriters reviews of users as well as an official review by ContentHeat in which we carefully analyze and write out our experience. I selected an express writer, which was the highest and most expensive option, followed by skilled writer, general writer, and beginner writer. Respectively, the prices were roughly $2.50, $1.09, $0.91, and $0.61 per 100 words. They're a low budget writing service, except for the express writer. 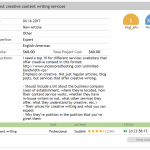 This is a regular price for which you can expect quality content from any content writing provider. I asked for an informative list with a clear introduction that defines key concepts of what the article will address, and researched information of internet businesses that offer the service that I’m mentioning in the article. I paid $50.00 (normally $60 but I received a starter’s discount) for a 2,000 – 3,000 word top 10 article. I received 2319. I received the article on the third day after placing an order. This was within the timeframe that was promised to me. Not only does this not closely address my topic, the sentence is basic, informal and uninventive. The entire sentence reads uncomfortably. The word ‘make’ is repeated twice, which can have been removed altogether. A better sentence would have been: "Arousing the curiosity of customers is achieved easier when the website has a pleasant design, is easy to navigate, and contains informative content." It is very common for writers to stretch out sentences to reach that wordcount faster, and while it is common, I find it unprofessional. Acceptable for low-quality content at a lower price, but not with your express writers. It reads too commercial, like an obvious attempt to persuade the reader to buy content without letting him or her make up her own mind. Not only is my article not meant to be read as a copywritten text, the approach itself as a commercially-intented text is quite distasteful. On top of that, the writer misspelled creative, which is probably the first thing you've noticed. Also, HireWriter’s word choice was quite repetitive. In the introduction, which was around 500 words, he used words like ‘who’, ‘can’, and ‘make’ repeatedly, sometimes even twice in a sentence. Although not a grammatical error, it does not read pleasantly. BUT WHAT ABOUT THE WAY THEY DO RESEARCH? As you can tell, the latter two are missing. 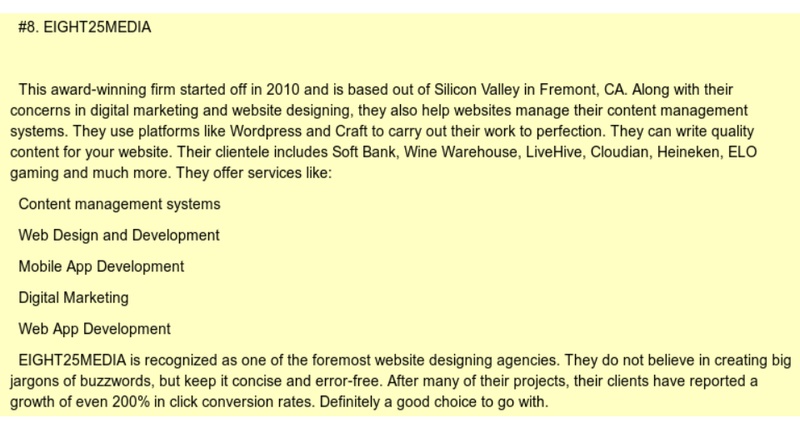 But also in general, HireWriters has written down businesses that do not offer the services I asked him to find. Researched done is inaccurate and incomplete. This occurred swiftly, and my article request was back online in their client area immediately, ready for another writer. Let’s hope it will take less than 3 days this time. Three days later, on 22/04/2017 I checked, and another writer requested more time. I gave him 2 more days. The writer was asking for another extension, and I didn't reply to it. When I checked back on 27/04/2017, the article was marked as complete. So the dummy text was delivered to me as a completed work, and I didn't hear a single word from the writer about providing me the real content. The platform also doesn't give me the option to rate the writer. I mailed support on 27/04/2017, asking to reinstate the article so that the writer can finish it. Let's see what they write. I did not get a message from the support team - they're too good for that. Instead I got an email from the writer on 28/04/2017, telling me this is not "dummy text" but a request for more time. Given that this was a long time ago, I asked the writer to deliver me the text. You're not going to believe it, but he replied by saying that he needed more time. Absolutely useless. It's been 3 days, 1st of May right now, and I still haven't received anything from my writer after his or attempt at educating what the dummy text was for. On the 2nd of May, he told me he needs another 2 days. 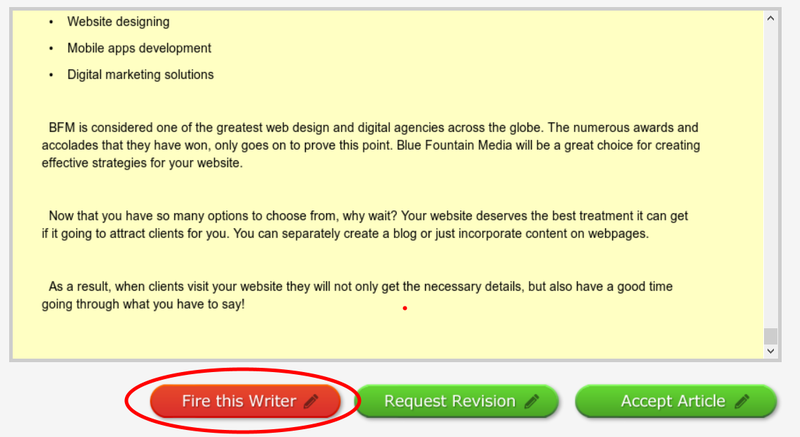 At this point, HireWriters does not surprise me. It is the 5th of May today, and I still haven't received my article. Hirewriters is bordering a scam operation at this point. I received a refund in credit on the 9th of May, and I'll be using it order the exact same article from another writer. 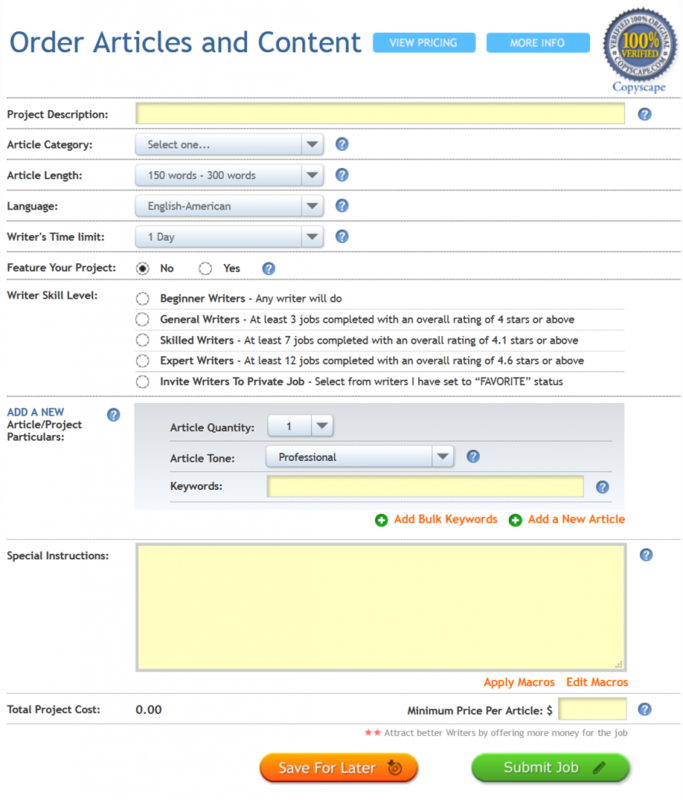 To order content, you have to first add funds to HireWriters. Once the payment is added to your credit balance, you can place on order and pay from your credit balance. This is quite unhandy since it would have been easier and quicker to pay for the content directly. Once you've finalized you order, it will show you a minimum payment required to place the order. But you can easily give a $100 more. This minimum payment option is quite ambigious since you're not quite sure how much you need to give to receive some quality content. You're asking yourself questions like, "is the minimum OK? ", and "if I give $20 more, will I somehow get better content?" 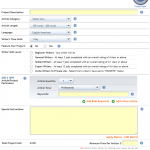 You're leaving it up to chance, not up to your clear agreement with HireWriters. You can select your own timeframe, and there is no difference in cost if you set the deadline for either 1 day or 4-5 days. If you set it for less than 3 days, however, the writers will contact and ask for an extension. Shame. On a positive note, they have a nice overview of when you can expect your delivery. Immediately after you place an order, a writer picks it up and a timer start ticking.